I hope everyone who attended the apple event on Sunday had fun! 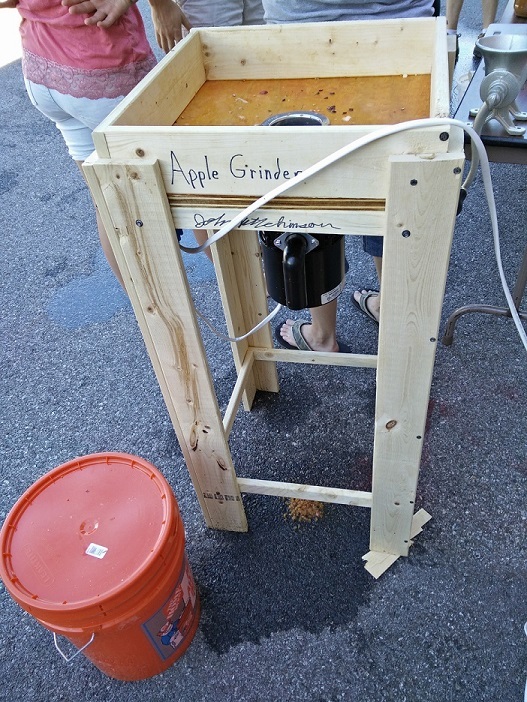 Here is a breakdown of what we used to make the apple pressing gear you used. Pressing pots: a metal pot, with pour spout cut into the side bottom. 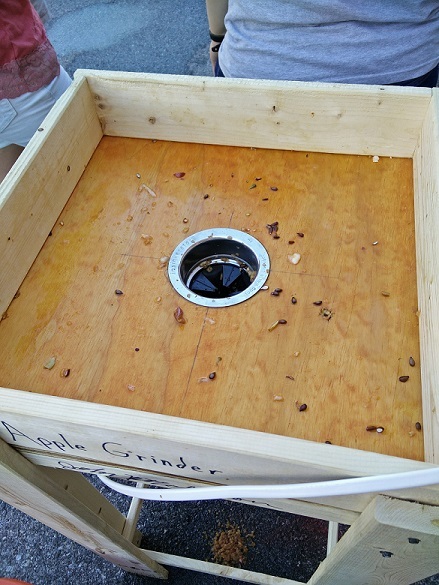 Inside the metal pot was a smaller plastic pot with drill holes along every side from top to bottom, this fit inside with clearance for the juice to get out on all sides. Inside the plastic pot was a muslin cloth to keep out pulp from clogging the holes or getting into the juice. The muslin cloth was then topped with a piece of hardwood cut to fit the plastic container. 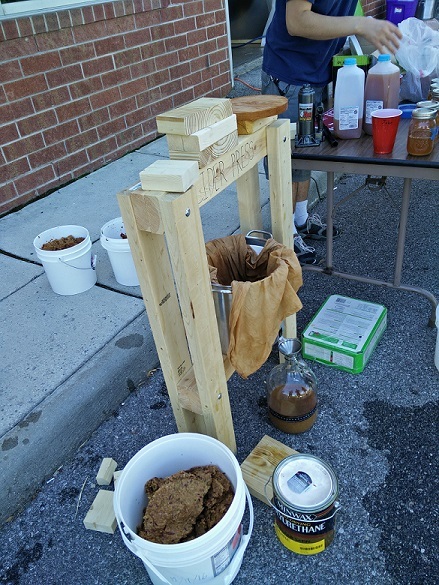 On top of the hardwood we put a 4 ton bottle jack, and some blocks of wood just to get the right sizing. Does anyone have any good ideas, other than compost or animal feed, for that to do with the juiced pulp after? 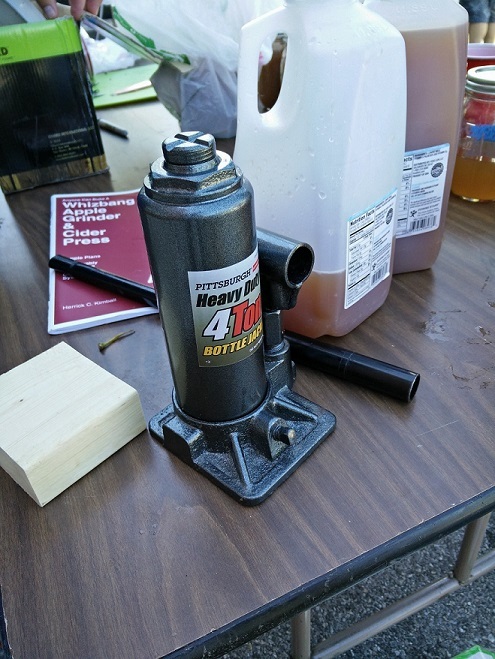 FYI: It took me 50 apples (2/3 Wolf River, 1/3 Rome) to make 1 gallon juice. One of these two apples was too gummy and shouldnt have been used.